Good morning friends! Yes, I am eating dandelion greens this morning! I am a proud member of my local CSA (Community Supported Agriculture) Farm, called Sandhill Family Farms. Each week from spring through fall I get a weekly basket of fresh, locally grown beautiful veggies! I try to make a game out of trying to figure out how to use everything each week so my waste is minimal. Each week I get a nice variety of items, some familiar some not. Last week, we received dandelion greens, a member of the chicory family. As many of you know, I have a love of sauteing greens, like spinach, chard, etc and serving over my favorite farm fresh eggs. So, today I put another spin on that and sautéed my dandelion greens. I put the bacon grease in my non-stick pan and saute the ham bits, add the greens and saute until slightly wilted. I can hear the gasps through the computer! Yes, bacon grease bad for you, BUT its a very small amount and on the rare occasions that we do have bacon, I keep a small container under my sink to collect the grease. My kids think it’s totally gross, but this habit goes back long ago from my childhood when my babysitter, Irene, used to save the bacon grease to make homemade Chex Mix, which I still do today too! Put the greens on your plate and use the pan to cook your eggs to your liking. I prefer either sunny-side up or over-easy so you get that nice runny yolk to dip your toast into. Top with the fresh chives. Again, I urge you to try farm fresh eggs if you have the chance to, they are absolutely superior in taste. 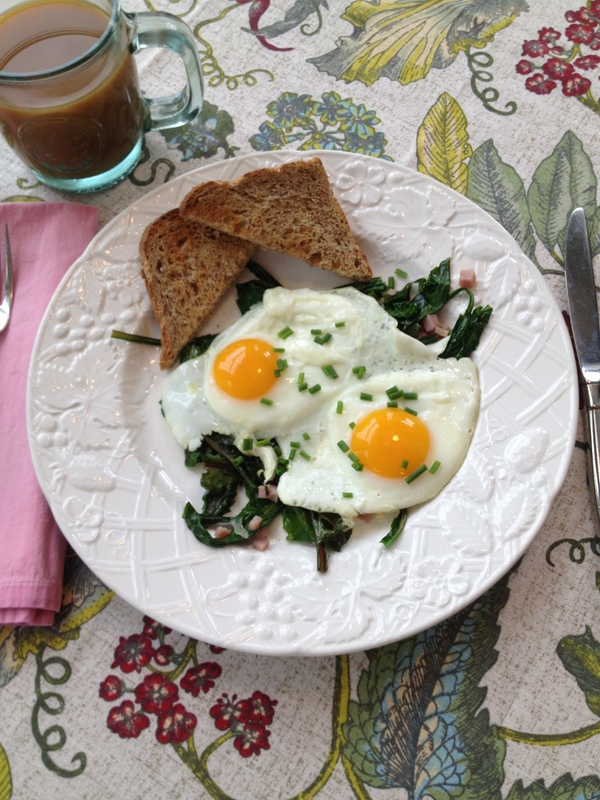 I served my eggs and greens with my favorite Angelic Bakehouse Sprouted Bread. My favorite bread is low-cal, packed with whole grains, protein and is only 1 Weight Watchers PointsPlus per slice!!!! Give it a try, you’ll be happy you did! Bon Appetit and I’m ready for the next challenge…we received some baby turnips this week! Posted in Breakfast, Veggies, Weight Watchers and tagged Bacon, breakfast, dandelion greens, eggs, vegetables. Bookmark the permalink. Who doesn’t love peanut butter and jelly?! We LOVE the combination at our house. A peanut butter jar does not last long here. 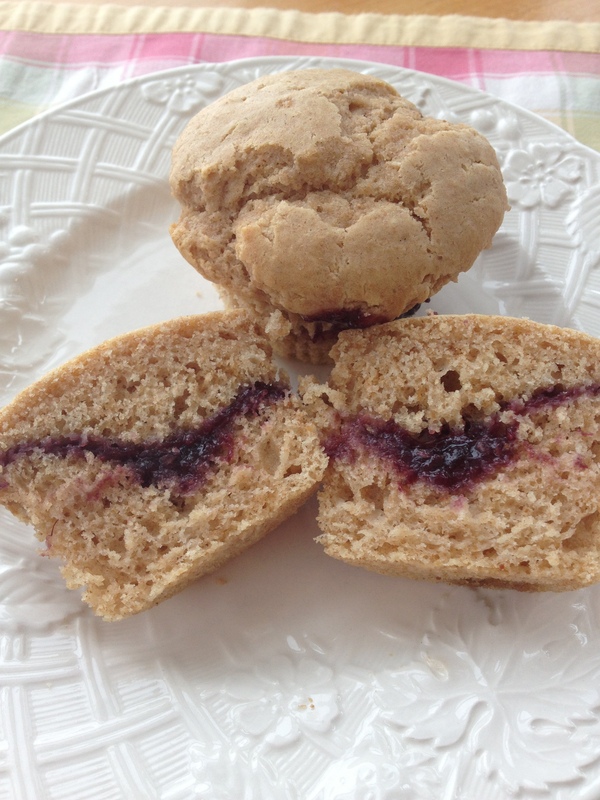 We like to smear it on everything :) As you all know, I love to bake after school snacks for my kiddos on a pretty regular basis…this muffin recipe is what I came up with earlier in the week. It’s a recipe that I added to my collection from Cooking Light Magazine long ago, 2007 to be exact. www.cookinglight.com You can use regular or crunchy peanut butter and any flavor of jam that you wish. 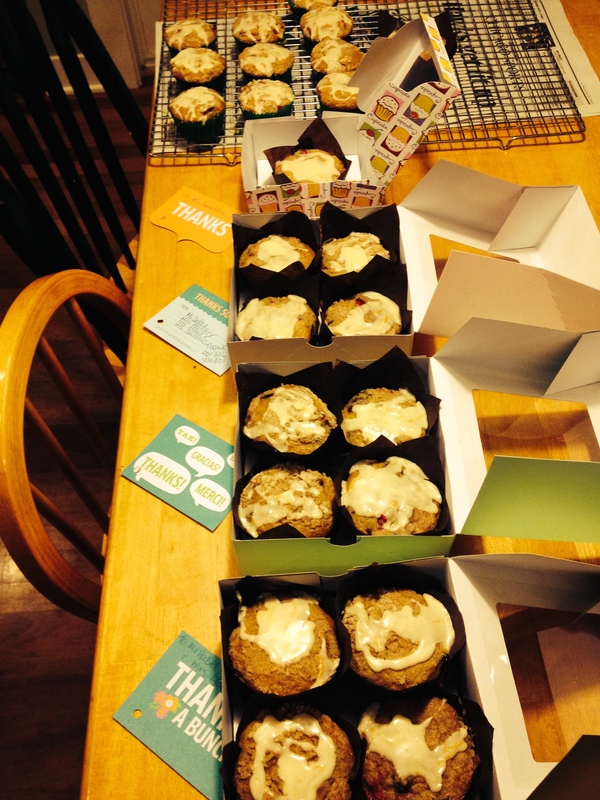 They are fairly low-cal, coming in at 185 calories per muffin and over 5 grams of protein each. I hope you enjoy as much as we did. When I asked Kyle, my oldest son, his opinion, he told me “Mom, I ate 4 at one sitting.” I guess I’ll take that as a compliment! 2. 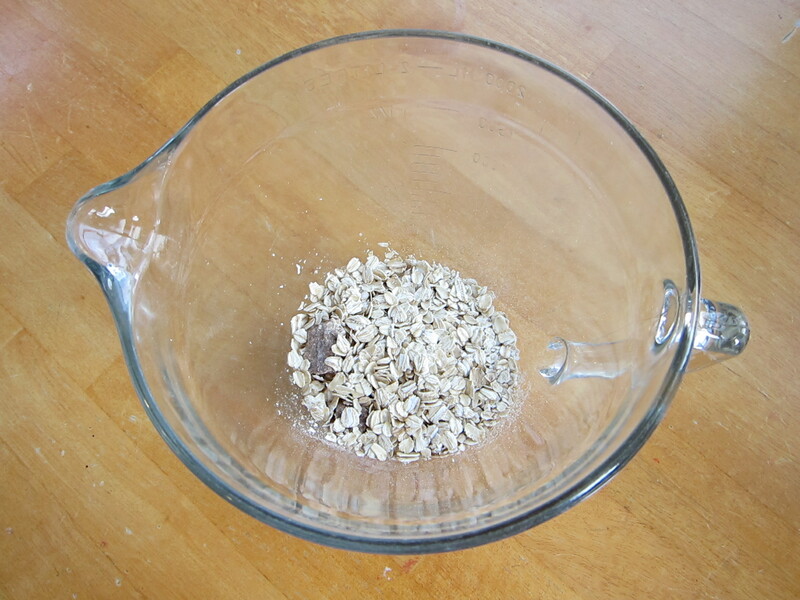 Combine dry ingredients in a large bowl. Make a well in the center, combine milk, peanut butter, egg whites, butter and vanilla. Add to flour mixture. Stir only to combine. 3. Spoon batter into 12 muffin cups. Fill each cup halfway with batter. Top each cup with 1 teaspoon of jam. Spoon remaining batter on top. 4. Bake at 400 degrees for 20 minutes. Let cool in pan for 5 minutes or so until set. Posted in Breakfast, Healthy Baking and tagged Baking powder, breakfast, Butter, Cooking, Flour, Home, Ingredient, Low-fat Muffins, Muffin, Peanut butter. Bookmark the permalink. I love oatmeal, baked, boiled, overnight…you name it, I like it! I found a recipe that I adapted to make even healthier and it was so yummy, we polished off the pan very quickly. It almost tasted like a blueberry coffee cake, but for only 3 measly Weight Watchers PointsPlus per serving you can easily indulge without guilt! 1. Preheat oven to 375 degrees and spray 8×8 baking dish with cooking spray. 2. Zest lemon and set aside. Add lemon juice to the milk to form a “buttermilk”. 3. Wisk together oats, baking powder, salt, spices and lemon zest. 4. In another bowl, blend milk, egg and sugar. 5. 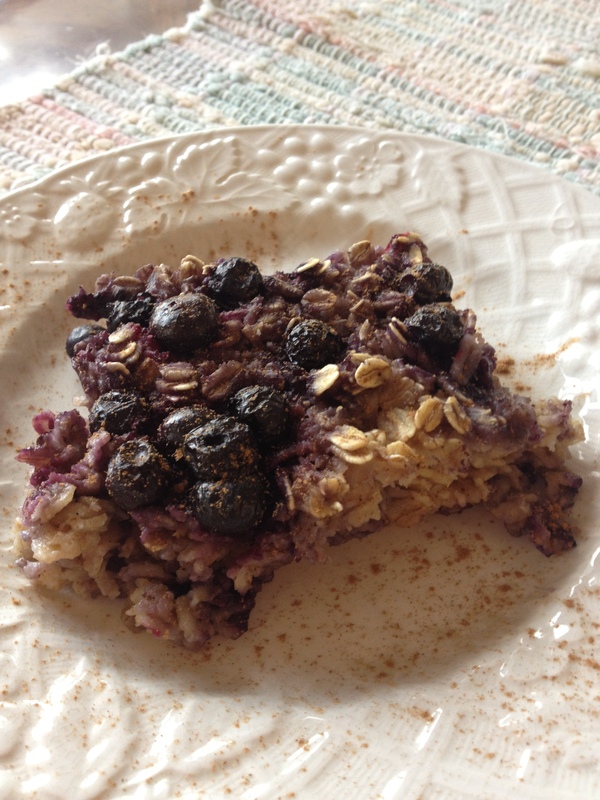 Spread half the oat mixture into the baking dish, top with half of the blueberries. add remaining oat mixture and scatter remainder of blueberries on top. Pour the milk mixture on top. 6. Bake about 40 minutes and until top is slightly brown and mixture is “set”. I served with a little steamed milk and topped with a drizzle of maple syrup and sprinkled with powdered sugar. I cut the 8×8 pan into 9 servings to yield 3 WW PointsPlus. Next time I make it I will try to make ahead the night before and bake in the morning. Posted in Breakfast, Weight Watchers and tagged baking, Baking powder, blueberry, breakfast, Cooking spray, Milk, Oat, Oatmeal, PointsPlus, Weight WAtchers, Wisk. Bookmark the permalink. Good morning and Happy New Year friends! On New Years Day I made some yummy healthy oatmeal pancakes that were low in fat, high in protein and actually contained no flour. I was a bit skeptical, I wasn’t trying to make a flour-free pancake, but the ground oats worked very nicely. 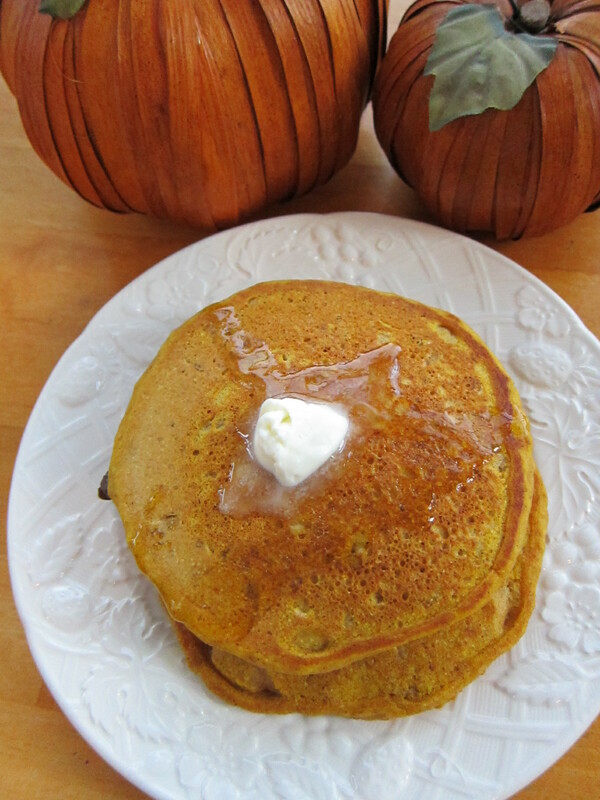 The pancakes were thick and moist and had the flavor of an oatmeal cookie. 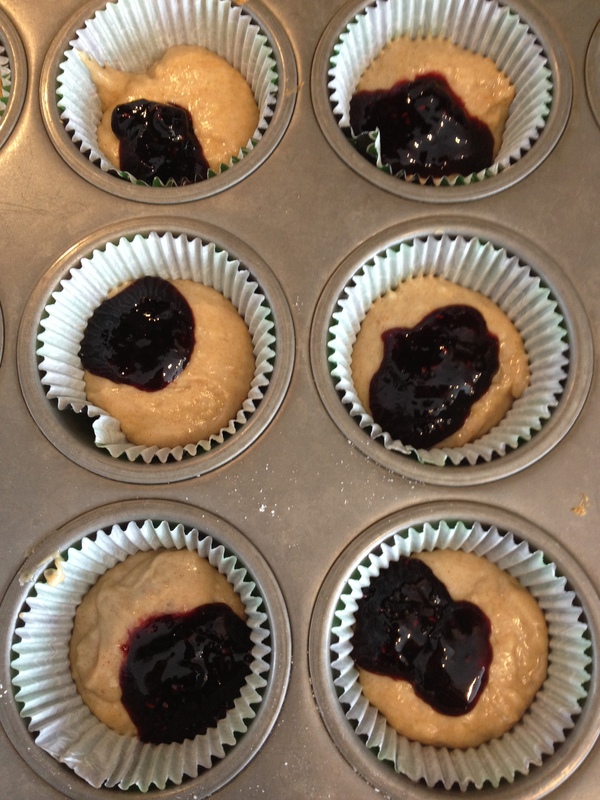 You could add blueberries to the batter or I added some mini chocolate chips for some of the kiddos. Instead of syrup, I took some blueberries straight from the freezer, put into a Pyrex measuring cup and microwaved until hot and bubbly. They make their own “syrup” simply by heating and require no sugar. The kids enjoyed the pancakes and Allison said to me “mom, these were SO good, I didn’t even know they were healthy!” Here’s the recipe! ients together until a “flour” like consistency is reached. 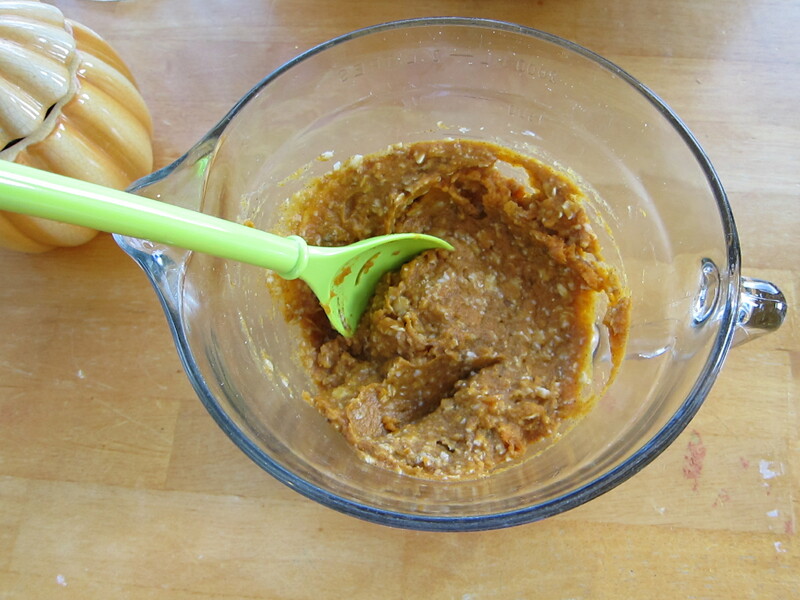 Fold wet ingredients into the dry and let batter sit for about 5 minutes. 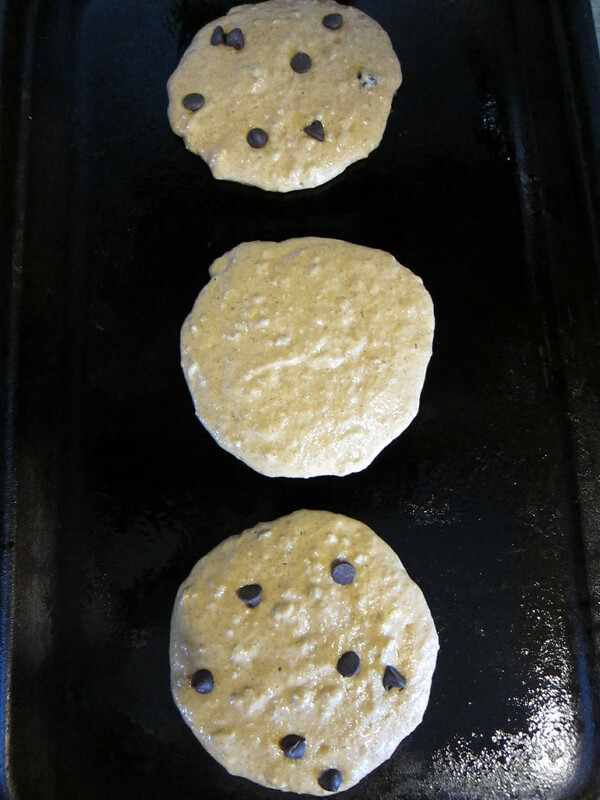 While batter rests, warm up griddle. Using a non-stick spray, grease the griddle. Ladle batter onto griddle and cook until pancake sets up and is browned on the bottom. Flip and repeat. Can also dust with powdered sugar. Serve with the warmed blueberry “syrup” or your favorite topping. This recipe made about 12 pancakes using a 1/4 measuring cup. Per my calculations, each pancake at that size would be 2 Weight Watchers PointsPlus. 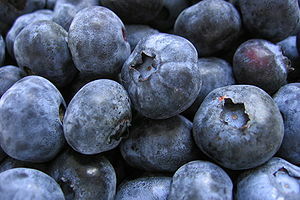 Posted in Breakfast, healthy eating, kids, Weight Watchers and tagged blueberry, breakfast, Low Fat, pancakes. Bookmark the permalink.